‘Lisburn and the First World War, the Complete Story’ is a major exhibition in four parts, examining Lisburn and district from the outbreak of the Home Rule Crisis in 1912, through WWI (1914-18), to the post-war period, when Northern Ireland emerged as a new state (1921), and the town erected its war memorial (1923). 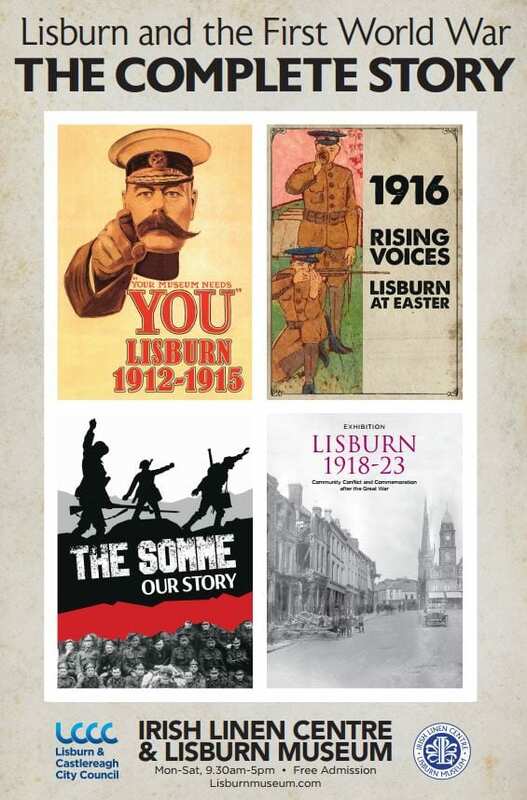 The display completes the museum’s First World War exhibition series, which includes the popular Lisburn, 1912-1915, Rising Voices: Lisburn at Easter, 1916, The Somme, Our Story and ‘Lisburn, 1918-23’. The exhibitions are open Monday to Saturday, 9.30-5pm. Free entry.